aCon (02.11.2012) - NORDIA 2012 - Roskilde. 3 mint ATMs (3 x 6.00 Kr). aCon (02.11.2012) - NORDIA 2012 - Roskilde. 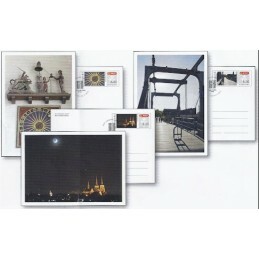 Collection of 3 pictorial exhibition cards with the 3 ATMs (3 x 6.00 Kr), and the 3 daily postmarks. aCon (02.11.2012) - NORDIA 2012 - Roskilde. 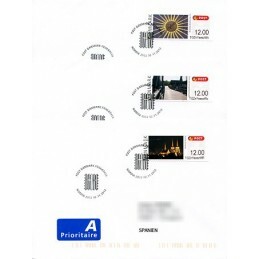 Pictorial first day cover with the 3 ATMs (3 x 6.00 Kr). aCon (02.11.2012) - NORDIA 2012 - Roskilde. 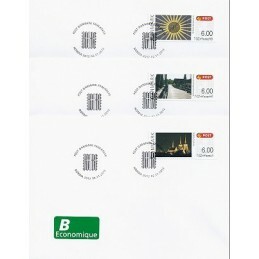 3 first day covers, domestic mail B - Economique (3 x 6.00 Kr). aCon (02.11.2012) - NORDIA 2012 - Roskilde. 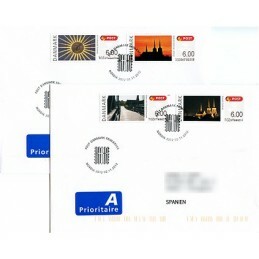 3 first day covers mailed to Spain - A Prioritaire (3 x 12.00 Kr), with postal indexations. aCon (02.11.2012) - NORDIA 2012 - Roskilde. 2 first day covers with the 4 Nordia 2012 special designs, mailed to Spain - A Prioritaire (4 x 6.00 Kr), with postal indexations. aCon (02.11.2012) - NORDIA 2012 - Roskilde. 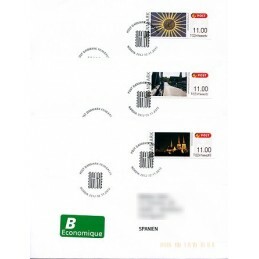 3 first day covers mailed to Spain - B Economique (3 x 11.00 Kr), with postal indexations. aCon (02.11.2012) - NORDIA 2012 - Roskilde. Mint set 3 values (6.00 - 8.00 - 12.00 Kr). aCon (02.11.2012) - NORDIA 2012 - Roskilde. 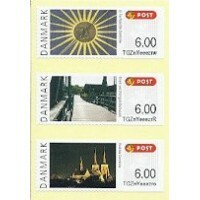 Maximum card with ATM (6.00 Kr) and pictorial first day postmark Nordia 2012. 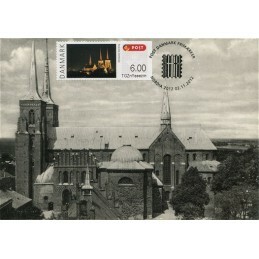 Commercial postcard, Roskilde Domkirke editions. aCon (02.11.2012) - NORDIA 2012 - Roskilde. 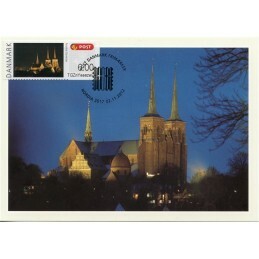 Maximum card with ATM (6.00 Kr) and pictorial first day postmark Nordia 2012. 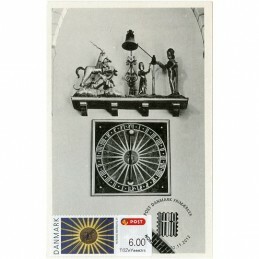 Commercial postcard, Christian Stigaard, Roskilde editions. aCon (02.11.2012) - NORDIA 2012 - Roskilde. Maximum card with ATM (6.00 Kr) and pictorial first day postmark Nordia 2012. * Old commercial postcard, Stenders Forlag editions. Only two cards. aCon (02.11.2012) - NORDIA 2012 - Roskilde. 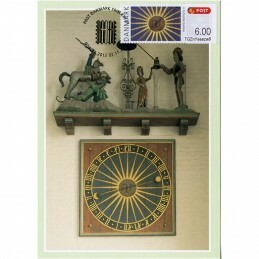 Maximum card with ATM (6.00 Kr) and pictorial first day postmark Nordia 2012. 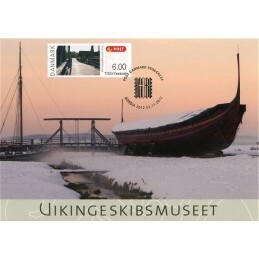 Commercial postcard, Vikingeskibsmuseet editions. aCon (02.11.2012) - NORDIA 2012 - Roskilde. 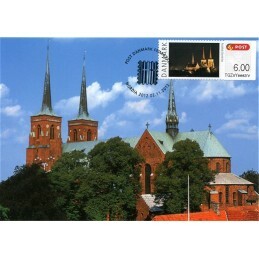 Maximum card with ATM (6.00 Kr) and pictorial first day postmark Nordia 2012. 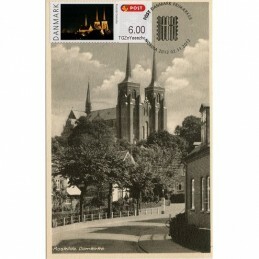 Old commercial postcard, Roskilde Domkirke editions. aCon (02.11.2012) - NORDIA 2012 - Roskilde. 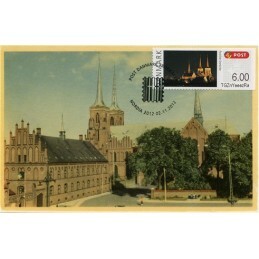 Maximum card with ATM (6.00 Kr) and pictorial first day postmark Nordia 2012. Commercial postcard, Trojaborgs Forlag editions. aCon (02.11.2012) - NORDIA 2012 - Roskilde. 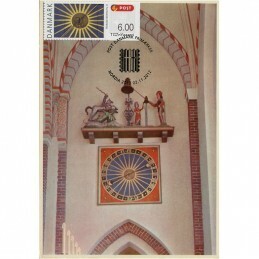 Maximum card with ATM (6.00 Kr) and pictorial first day postmark Nordia 2012. Old commercial postcard, Stenders Forlag editions. aCon (02.11.2012) - NORDIA 2012 - Roskilde. 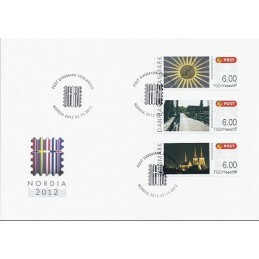 Maximum card with ATM (6.00 Kr) and pictorial first day postmark Nordia 2012. Old commercial postcard, Christian Stigaard editions.